One of the two Arabian-Jewish rabbis that are said to have instructed the Tobba' Abu Karibah (king of Yemen) in the tenets of the Jewish religion. The name of the other was Ka'b; and both belonged to the tribe of the Banu Ḳuraiza. 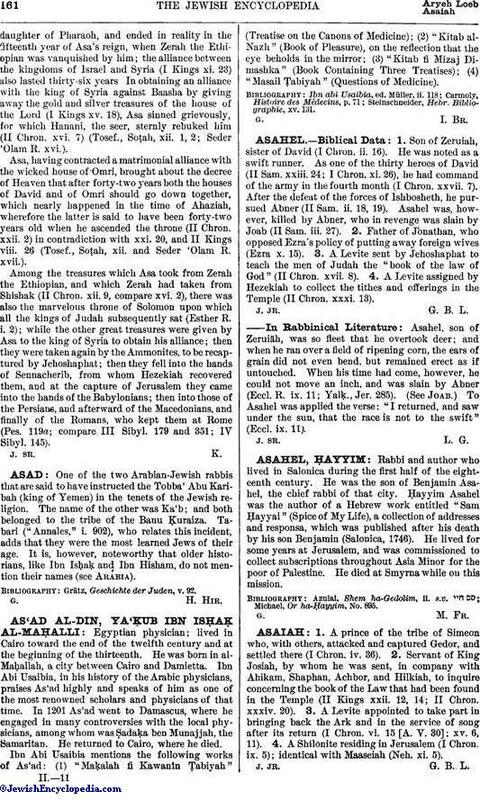 Tabari ("Annales," i. 902), who relates this incident, adds that they were the most learned Jews of their age. It is, however, noteworthy that older historians, like Ibn IsḦaḳ and Ibn Hisham, do not mention their names (see Arabia). Grätz, Geschichte der Juden, v. 92.